Think you don’t like Brussels Sprouts? Think again! 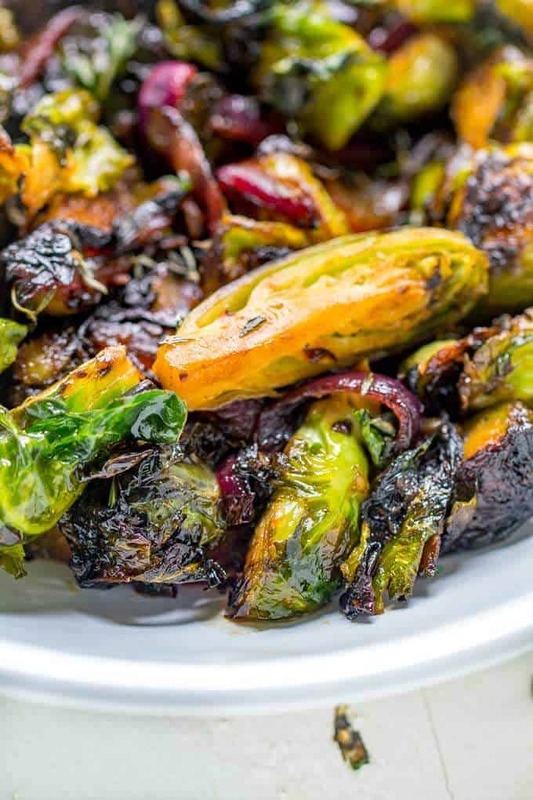 These Caramelized Brussels Sprouts will become a favorite vegetable side dish! Gluten Free and Vegetarian with a Vegan Option. Don’t get me wrong; my mom is a fabulous cook. As far as Southern cooks go, it doesn’t get any better. She just was never an adventurous cook. I still can believe all thing things that I never had until I was grown! Spaghetti Sauce that didn’t come from a jar. Some might consider me lucky to never have had Brussels Sprouts, but I kinda regret not discovering them until my 40’s. I miss out on a lot of fall Brussels Sprouts love. The first time I ever had them was at a Tapas restaurant in Santa Rosa Beach, FL. Lucky for me, they were on the gluten-free menu. They were fried and it was instant love. Although I’ve never attempted to fry them at home, I do enjoy making them from time to time. 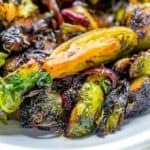 These Caramelized Brussels Sprouts are a fabulous vegetable side dish that will get the whole family on the Brussels Sprouts bandwagon. 1.1 What food did you never have until you were grown? I’ve used butter, but you can easily make this dish vegan by using Earth Balance. What food did you never have until you were grown? Think you don't like Brussels Sprouts? Think again! 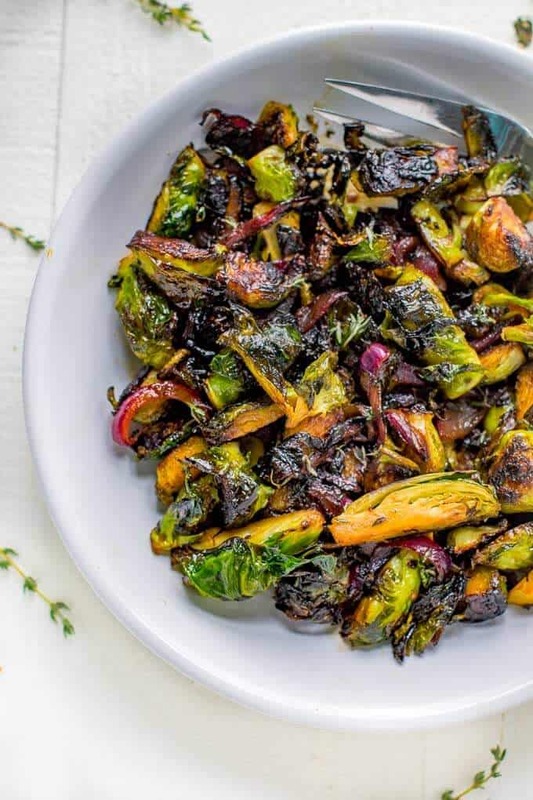 These Caramelized Brussels Sprouts will become a favorite vegetable side dish! In a small bowl combine lemon juice, maple syrup, tamari and thyme. Heat oil to medium high in a large skillet. Add Brussels sprouts and onion to the pan and cook until they begin to brown, about four minutes. Add butter or oil to the pan and cook for four more minutes. Add garlic and cook for one more minute. Add the lemon juice mixture and cook for 2 - 4 additional minutes. Serve as a side with a Tamari Aioli. Mix 1/2 cup plain yogurt or mayo with 1 tablespoon gluten-free tamari, 1/2 tablespoon lemon juice, 2 teaspoons Swerve sweetener (or sweetener of choice), and a teaspoon of minced garlic. Add in in pinch of cayenne pepper if desired. Cook 8 ounces of gluten-free spaghetti. While the spaghetti and Brussels are cooking, add a tablespoon of oil to a skillet. Add 1/2 diced red onion and cook for 5 minutes. Add garlic and reduce the heat to low. Add 1/2 cup whole milk (or half-and-half) and 1/4 cup vegetable broth. Cook until the sauce thickens, about 4 minutes. Stir in the pasta and top with the Brussels sprouts. Serve with a grilled steak. This one sounds a little crazy, but Brussels sprouts are great on white pizza. Brush a prepared gluten-free pizza crust with a tablespoon of garlic oil. Bake at 420 degrees for 10 minutes. Sprinkle with 2 ounces of Manchego cheese and chopped Brussels. Cook for 4 minutes. Sprinkle toasted walnuts over the pizza and serve. That sounds so good! I can’t say that I’ve ever had caramelized Brussels sprouts before, but I think that needs to change. Oh yum! I’m a huge fan of caramelized veggies. They have such a great depth of flavor. I can’t wait to make this. I don’t know why brussels sprouts get such a bad wrap. I love them! I have never tried them caramelized though, but now I can’t wait to try this recipe. It sounds super delish! Brussels sprouts are my FAV! I can’t wait to make these for my family! We are obsessed with brussels sprouts in this house. This looks like a delicious way to prepare them. I will admit I have never tried brussels sprouts but this dish really makes them look tasty! My mom was a semi-adventurous cook but now, it’s always something new or different. These look like an interesting idea to try. I haven’t had caramelized brussel sprouts before, will be trying your recipe idea. I always thought I hated Brussels sprouts, but it turns out I just hate them boiled or steamed. I wish I had discovered that earlier. Brussel sprouts are our absolute favorite. I’ve never made them like that but have to try it, they look delicious! I am pinning this and will for sure try it. I’ve had amazing grilled Brussel sprouts when dinning out but am still trying to perfect them here at home. This looks so good! I love Brussels sprouts! So yummy! 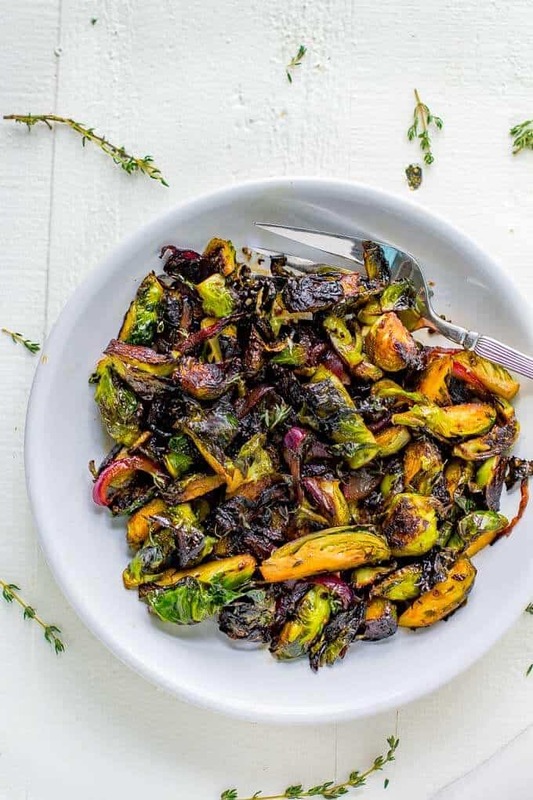 We don’t eat Brussel sprouts often, but this sounds like such an amazing recipe! We will definitely have to give this a try. I never had much of an adventurous culinary experience in childhood either, and it has been hard for me to branch out as an adult. But I am getting better. This sounds really lovely. I don’t mind eating brussels sprouts, I think they’re versatile and really good. I should give this recipe a try! Being Italian means growing up with good homecooked food. I’m very proud to have tried a lot of dishes growing up! That’s definitely where my love for food came from. 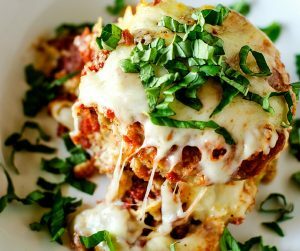 I think this dish is awesome and I’d love to give it a try! I didn’t used to eat brussels sprouts when I was a kid, but I love them now. I would love to try this recipe sometime. In my family, it is only me and my oldest son who loves brussels sprouts. 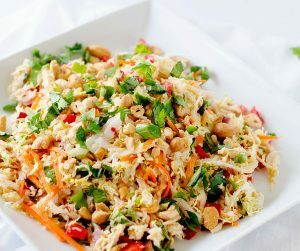 I haven’t tried making it this way, and I will surely make this soon. Ha! When I was a kid, we had brussels sprouts all the time. Boiled. Blah. They were strictly off my diet for many, many years until just a few years ago when I tried them baked in the oven with olive oil and spices. I will for sure be trying this recipe. Thanks!